Flat Track, a sunset, and lonely ghosts on Route 66. 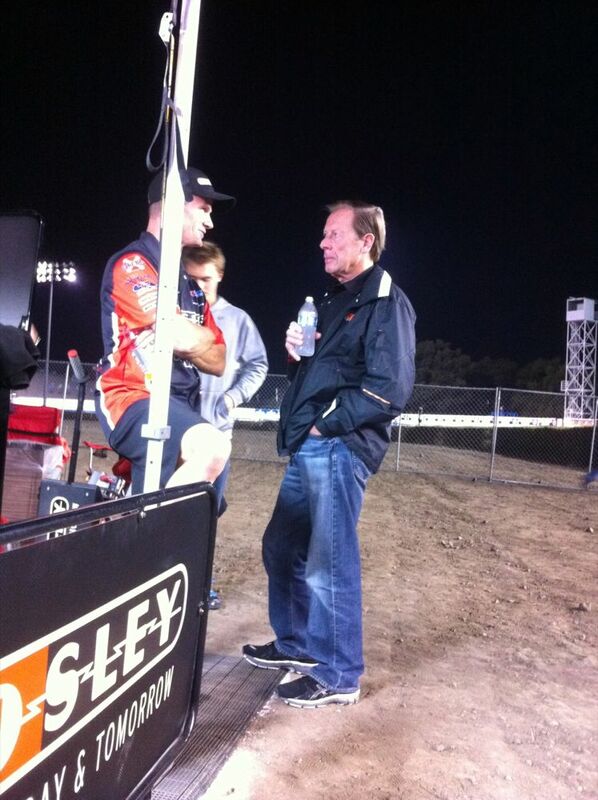 The Pomona Fairplex hosted the AMA Grand National Flat Track Finals again with the help of Presenting Dealers PomonaValley Harley-Davidson, and Glendale Harley-Davidson. Our man Kenny Coolbeth dominated the race from flag to flag and made it clear he’s back with his second victory after returning from injuries late in the season. Thanks for a great show Kenny! 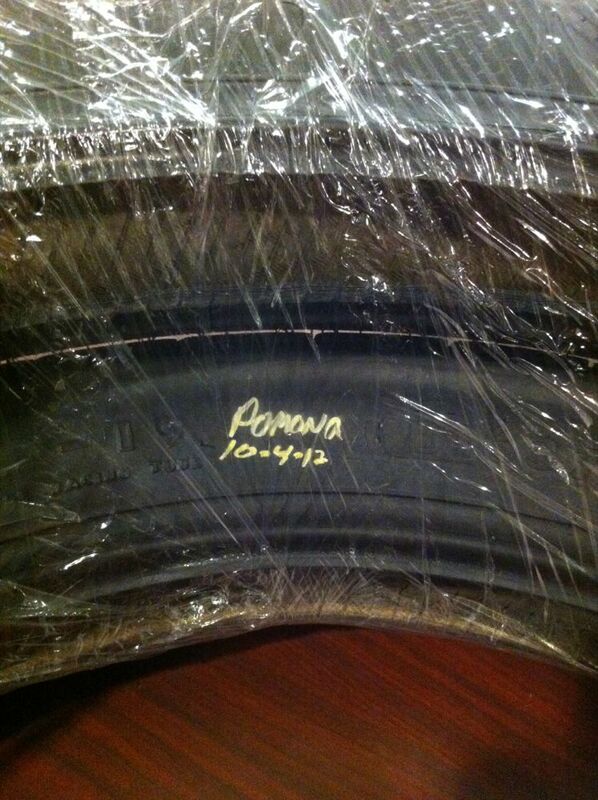 Kenny Coolbeth’s winning tire in a secure top secret location. Brit Iron Rebel photographer up close to the action! If you know him send him this way, we’d like to see his pictures! 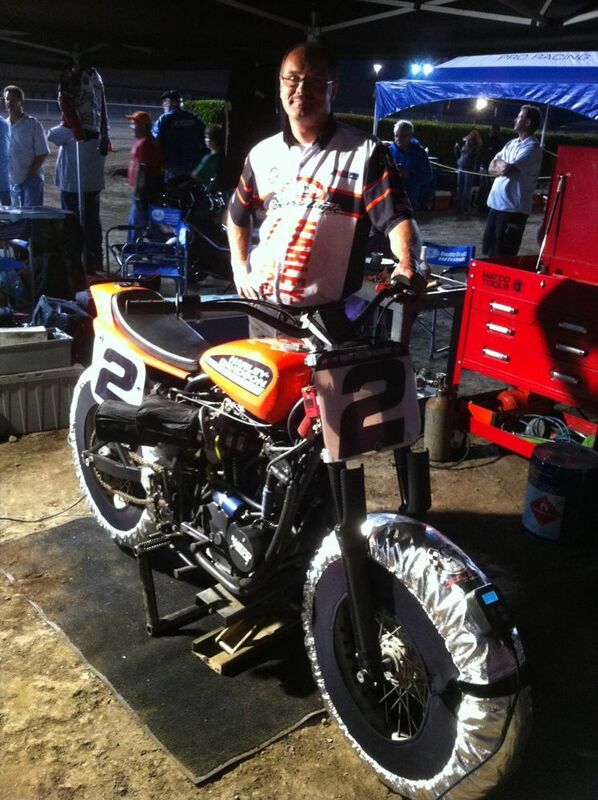 Craig’s the tuner of Kenny’s winning XR750. Brain Leathers, Paint by Smokey Arai Helmet, and Shayna Texter’s famous riding style are impossible to miss! I left for a little ride the other night to see the meteor shower and soon learned out my headlight wasn’t working so I went home and changed motorcycles. Instead of meteors I got rain but it was a nice night and the rain felt good . Replaced the shed relay and the lights came back on! We delivered a Jacket to a customer in Newport Beach and walked down to the Pier to find this! Then we ate a slice of pizza. For Halloween, All Souls Day, Dia De Los Mortos, and everything else we took Route 66 out to the abandon Bagdad Cemetery to leave some flowers. We planned to have lunch at Emma Jean’s but learned they’re closed Sundays (we’re happy for them). We looked around a little and can’t wait to come back, Emma Jean’s is the real thing and from what we’ve heard the food is great. Closed Sunday but we’re going back! Bagdad was mostly abandoned by the late ’40s with the exception of its famous cafe which served its last meal around ’68. It would be a Route 66 Ghost Town if there were a town, but in 1991 its remains were leveled to store equipment used to build a gas pipeline. 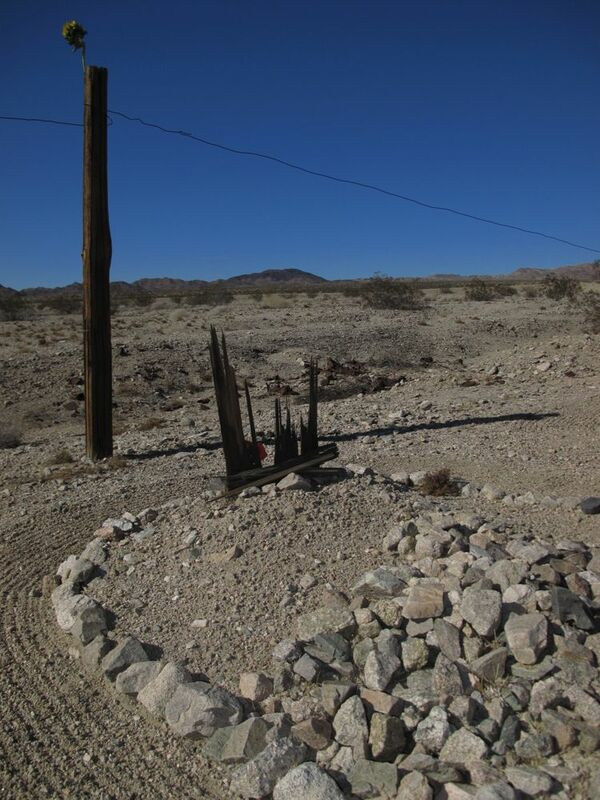 The townsite is marked with a tree a few miles west of the Amboy Crater and a sign on the tracks. It looks more like a place kids would park their cars and party than an town site. The cemetery dates back to the late 1800s and consists of a about a dozen graves with wooden crosses, markers, and a few with just rocks remaining. It’s enclosed by a single strand of wire attached to some beautifully weathered posts. Any writing on the markers is long gone but it appears somebody is tending to the place. The rocks outlining the graves are tidy, the gravel is raked around them, and there are red silk flowers on most the markers. We were happy to see the cemetery is being cared for as it’s been vandalized in the past and some of the graves were robbed a few years ago. Next time we visit we’ll bring some silk flowers to go with the Black Eyed Susans. Somebody put silk flowers on the graves. We stopped in Siberia on the way back, at least we think it was Siberia. I just read about Klondike and need to be sure we weren’t there. Hodaka tank and Cadiz sign on Bottle Trees near Helendale. We looped back down 66 and took a few pictures at the bottle trees. It was late so we didn’t bother the owner, but hear he’s a real nice guy. 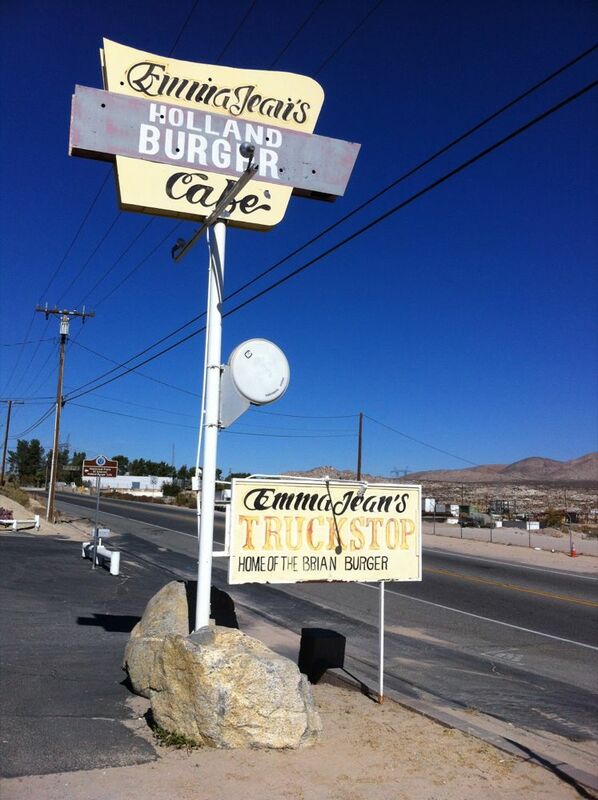 We’ll stop by again on a Saturday when Emma Jean’s is open! ← Camp 66 Motor Palace!